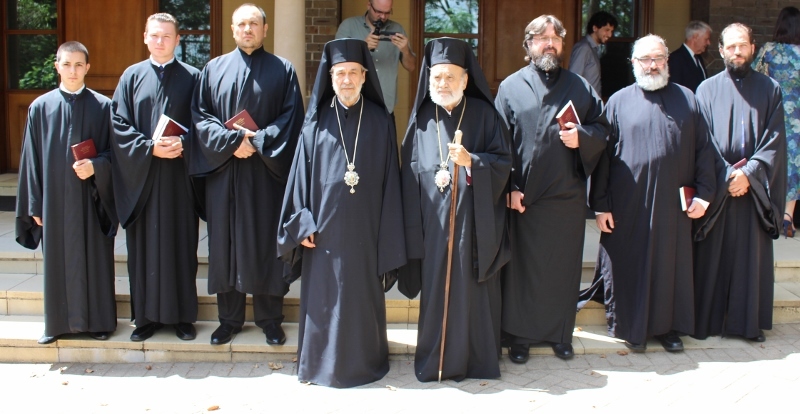 The Dean, His Eminence Archbishop Stylianos, together with the Sub-Dean, His Grace Bishop Seraphim of Apollonias, and College graduate Deacon Dimitri Papaikonomou (BTh, '07). The Doxology was attended by the faculty, the students and their families. His Eminence and His Grace (centre), together with new full-time students (from L to R): Nectareos Vasileiou, Phillip Papagiannopoulos, Nico Carmona Torres, Mihailo Miletic, George Georgiadis & Paul Condoleon. On Thursday 18 February 2016, St Andrew’s Theological College commenced its thirty-first academic year with its annual Doxology Service in the College Chapel of St John the Evangelist and Theologian. 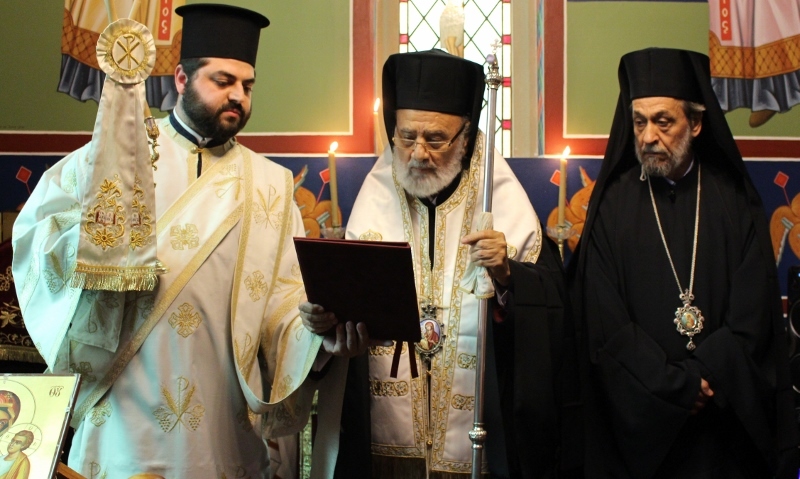 The service was officiated by the Dean, His Eminence Archbishop Stylianos, together with the Sub-Dean, His Grace Bishop Seraphim of Apollonias. At the conclusion of the service, His Eminence welcomed the faculty members, students and guests in attendance. His Eminence affirmed that the purpose of the gathering was to give thanks to God for making the College capable of spreading the message of salvation during this turbulent time. Indeed, His Eminence asserted that the primary function of the College is to declare that God is alive despite the various problems throughout the world. He then presented a copy of the Greek New Testament to the new full-time students in attendance as a tangible sign of their connection to the College. The doxology was followed by a customary group photograph and the luncheon prepared by the generous volunteers of the Ladies Philoptohos.